When I say take your tire rotation to the next level I’m talking about getting more from the service than you ever thought possible. Many believe that a tire rotation is an unimportant, over recommended automotive maintenance service. Nothing could be further from the truth. With that said, always understand the specific maintenance guidelines for your year, make and model automobile. You can find this information in the maintenance section of the owner’s manual. 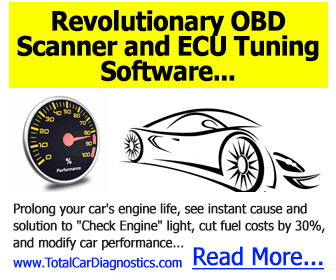 How much you stand to benefit from a next level tire rotation often depends on the power train set up of the vehicle. Obviously, all-wheel-drive cars and four-wheel-drive trucks benefit from tire rotation more than others. However, if you don’t rotate the tires on a compact four-wheel-drive automobile you will need to replace the front tires sooner than later. Unfortunately, if the rear tires stay in the same position on a front-wheel-drive automobile for 30,000 miles or more they develop non-repairable issues. In this scenario the tires might look brand-new, but develop high and low spots that cause vibration and tire noise. Regular rotation of front wheel drive tires assures even weight distribution. Thereby, increasing the lifespan of all four tires. On a rear wheel drive automobile the back tires wear faster and different than the front. 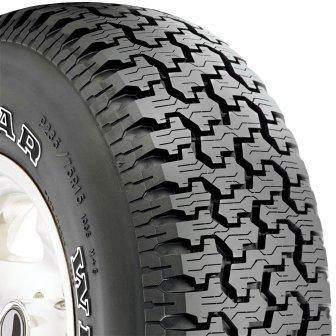 Front tires experience more edge wear and the rear tires experience more center tread wear. Again, rotating the tires as recommended assures maximum tire life and safety. Now that we understand the importance of the tire rotation service let’s talk about how we can take it to the next level. 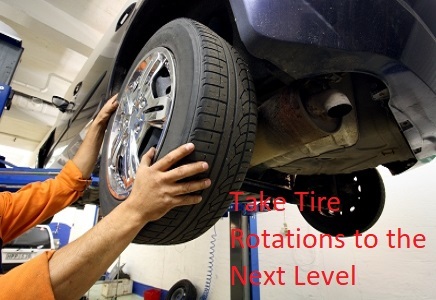 Many retail auto repair centers offer a nitrogen fill tire rotation service. This is when they remove the regular air from the tires and install a nitrogen gas. Then of course, they rotate the tires as usual. Nitrogen is a far more stable gas than ambient air. You probably noticed when you go out to your vehicle on a subzero temperature day, the tires seem low. In fact, with the new tire pressure monitoring systems it can illuminate the low tire warning light. Then as you drive the automobile and the tires heat up, the air expands inside. Filling the tires with nitrogen removes this entire temperature related pressure differential. When a nitrogen tire is filled to the automobile manufacturers recommended specification it stays there. I avoided spending money on this service as it seemed foolish. Then I bought a used car that had nitrogen filled tires. Never having to worry about finding an air pumping station or keeping an eye on the inflation level is amazing. Take my advice, if you can afford it, spend the extra $30 and get a nitrogen fill tire rotation service. If you’re going to rotate the tires why not balance them at the same time. As a professional mechanic I can tell you that it’s an extremely rare situation when I put a worn tire on the balance machine and it requires no weight adjustment. In other words, in my experience, all tires need balancing at regular intervals. For me the obvious benefit falls into the ride category. When you ride with a tire out of balance, the faster you go the more exaggerated that out of balance condition becomes. On the major interstates in my area, the speed limit is 75 mph. Even a tire that’s slightly out of balance turns into a steering wheel shaking nightmare at this speed. 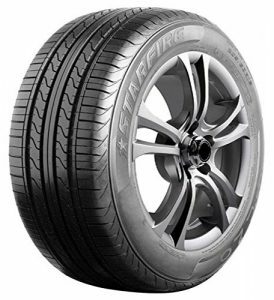 A perfectly balanced tire improves the comfort and can turn a long trip into a pleasure. With that said, reducing the vibration also reduces the wear and tear on the entire automobile. The shake you feel in the steering wheel at high speeds from an unbalanced tire works its way through the entire automobile. Parts can loosen up and bolts can back off from the relentless out of balance condition. This can cause hard-to-find and annoying rattles. A tire vibration can also cause increased wear of the tread. Nothing makes a car feel older than shaking and rattling while driving. Performing a tire rotation at home becomes an inconvenient task. If you want to get nitrogen and have your tires balanced becomes two additional reasons to take the automobile into a auto repair professional. Nevertheless, you want to make sure they accomplish the services the right way. As you know, most mechanics use a pneumatic air tool to remove and install the lug nuts. These tools remain capable of incredible amounts of torque. If they crushed these lug nuts on installation, you’ll find it hard to remove them in an emergency flat tire situation. Another major issue can develop from improperly torque lug nuts. The leading cause of a front rotor warp remains incorrect lug nut tightening procedures. The manufacturers issue exact guidelines on how tight each lug nut should be. More importantly, each nut needs tightening to the same specification. In addition, tightening them in a star pattern becomes another recommendation. If you torque one lug nut to 300 foot-pounds and another one to the recommended specification of 85 foot-pounds it distorts the face of the rotor. This creates an annoying brake pulsation and facilitates the need to install new replacement disc brake rotors. I have an important point to make here. I’m not saying your technician can’t use a pneumatic air tool to tighten your lug nuts. Mechanics should have an extension that fits on the tool called a torque stick. These torque sticks come in sets. Each different color represents a different torque specification. When technicians reach the required amount of tightness, the extension twists and flexes to prevent over tightening of the lug nut. 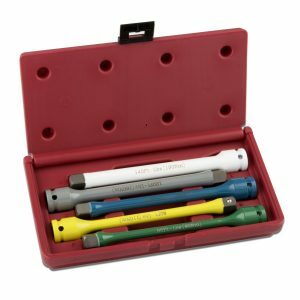 If you see your mechanic using a pneumatic tool without a colored torque stick, make sure they go back and use a manual torque wrench to readjust each and every lug nut.